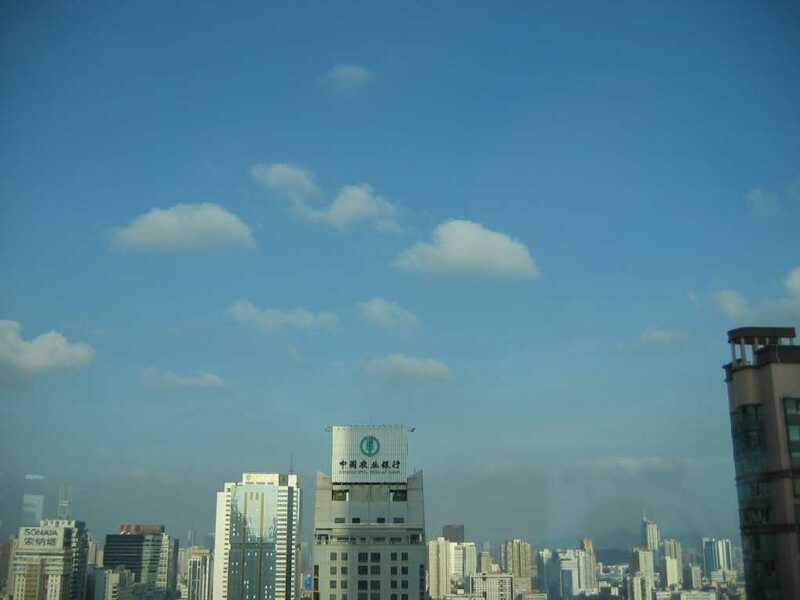 A little while ago I mentioned that the sky in Shenzhen only becomes blue after a good rain. Well, here's proof. Tuesday night the heavens opened and down came the rain in the form of a small tropical storm. It was preceded by plenty of wind and there was a little thunder and lightning. The following morning when I awoke I was greeted by this delightfully blue sky, complete with a few fluffy white clouds. That's a huge improvement compared to this. It's just a shame that the blue will be gone again in a day.